If you're interested in becoming an Explorer, please contact us using the information on the right side of this page. We only open for new Explorers a few times a year so you need to get us your information soon. It's the goal of the Hemet Police Explorer Program to assist young people interested in learning about law enforcement. Young men and women between the ages of 14 and 20 learn the importance of teamwork, community service, developing leadership skills, physical fitness, and ethical methods of problem solving while having fun in a law enforcement environment. To remain in the program, Explorers must successfully complete an Explorer Academy (which includes a physical fitness test), maintain a 2.5 grade point average as well as make a commitment to attend weekly meetings and community events. Hemet Police Explorers have the opportunity to volunteer their time working in the police station and can qualify to ride with on-duty police officers; observing calls for service, assisting with traffic control, writing reports, fingerprint children, and much more. Leadership for the program is provided by qualified Explorers and Police Officer Advisors. The Explorer Post is maintained through (Explorer-paid) monthly dues and fund-raising activities in the community. In the past few years, our Explorers have participated in several activities including National Law Enforcement Explorer Conferences, CHP Explorer Academy in Sacramento, and the elite Explorer Competition (EXCON) in Las Vegas. Many explorers go on to careers in the law enforcement field. 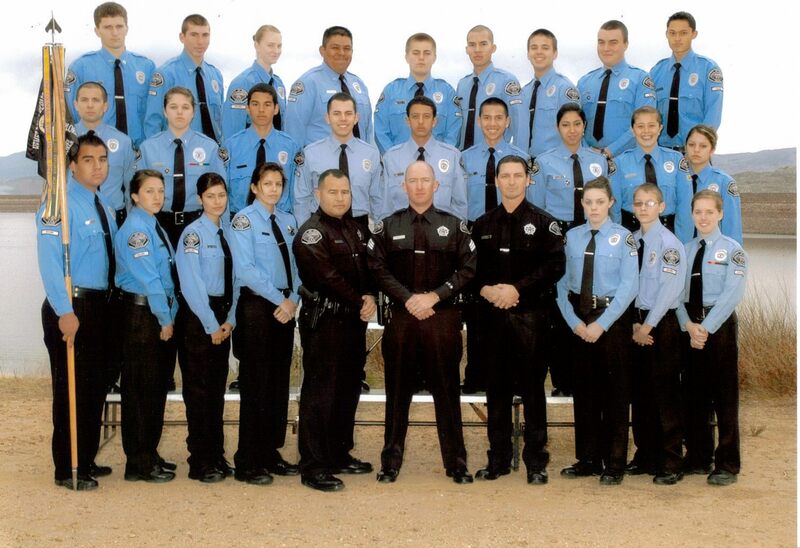 The Hemet Police Department currently employs several former Police Explorers. Interested applicants first attend three consecutive meetings as an observer. They will then be given a background packet to complete and be scheduled for an interview. Upon completion of a background check and successful interview, the applicant can then be fully accepted into the program. 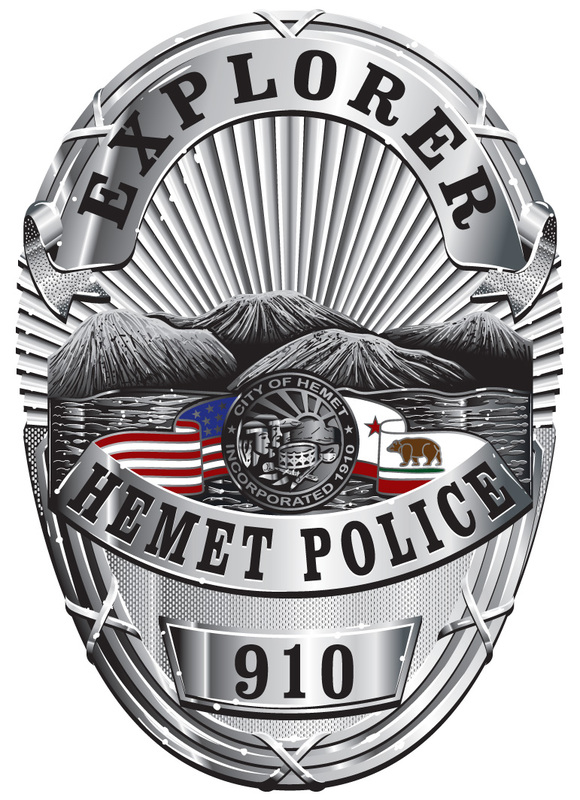 The Hemet Police Explorer Program will be open for new applicants throughout the year. We will soon host another “Police Explorer, Open House”. We will be providing information about the Hemet Police Explorer Program, activities, expectations, requirements, and information on the selection process. Use the contact information on the right side of the page for more information. Interested in Being an Explorer? All interested parties (and parents) are encouraged to attend our next open house for important enrollment information. Check back often for dates of our next open house and enrollment period. Download our Explorer Recruiting Flyer and join us as a Hemet Police Explorer.